So! This week I have a free week between lectures and exams. Therefore will I try to fill my blog with a lot of new and exciting stuff. The blog have seemed a bit silent recently, but that do not reflect what I have been doing. Right now, am I working on multiple projects. However, I will tell more about them tomorrow in their own post. And just to make this post more fun. I received my orders from India today! Three sarees and one pair of shoes. The sarees is made of 100 % cotton. One of them is a bit modern with sequins. Nevertheless, I think I will just remove that. I hope that these will turn out to be some lovely regency dresses. The shoes will make some nice 18th century shoes when covered in silk and decorated. Please Help Save Foundations Revealed and Your Wardrobe Unlock’d! Please help this wonderfull communitiy! I don’t usually do things like this, but this is a biggie. The clock is ticking for the two best, most in-depth and professional series of articles on historical sewing available online today. The single complaint most often encountered is about the price, which is just under $30/month (USD). I fought long and hard, too, before subscribing. But the reward is immense. It is like having 24/7 access to your own private library of historical sewing history and how-to articles. No matter when, no matter where you are in the world, this resource is there – ready when you are. At least for a few more weeks. How good is this treasure trove of knowledge? Check out a few of the free articles for a taste of what awaits. “Foundation” covers more than just corset making. 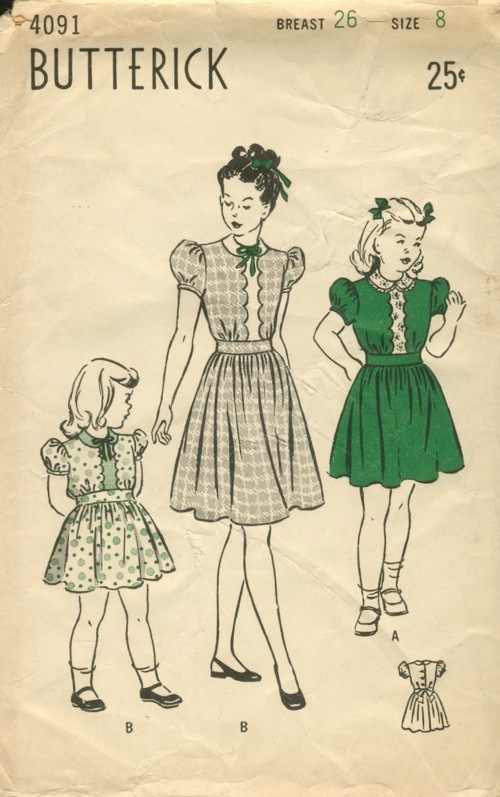 “Wardrobe” takes you through a huge variety of historical styles and fashions. One of the less great things about studying is the lack of time to do anything else. These past three months have been so stressful, and at a time literately thought I was going down with the scary folk illness called stress. But thankfully I am not! 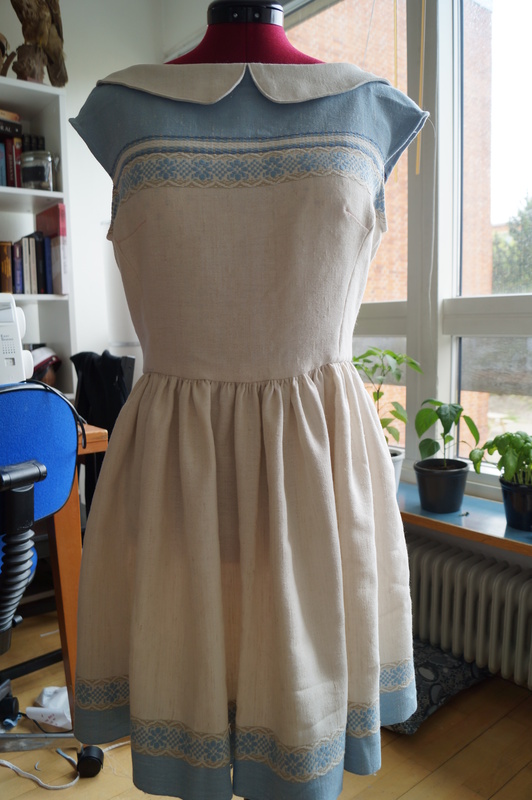 I started sewing my HSF #3 Challenge back in February. But because of the missing time and missing pleasure of sewing, I haven’t come around to finish it yet. So NOW! After 1 ½ week of fever and throat pain am I ready to start again! I am only minutes from finishing one of the challenges and close with another one as well. I hope to finish them both on Friday. I bought this wonderful book at a book sale for used books. Love it! 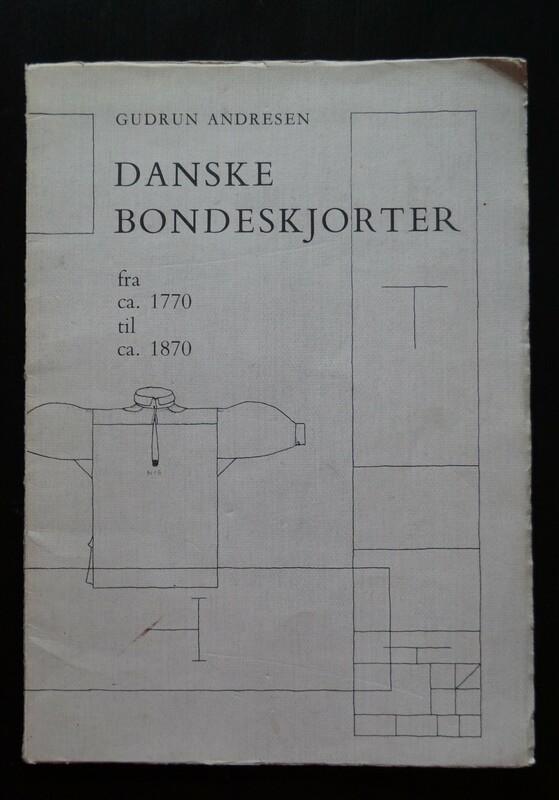 It is in Danish and tells of the regional Danish rural shirts (men). The time frame is from 1770-1870, but many of techniques can be used for earlier work as well. 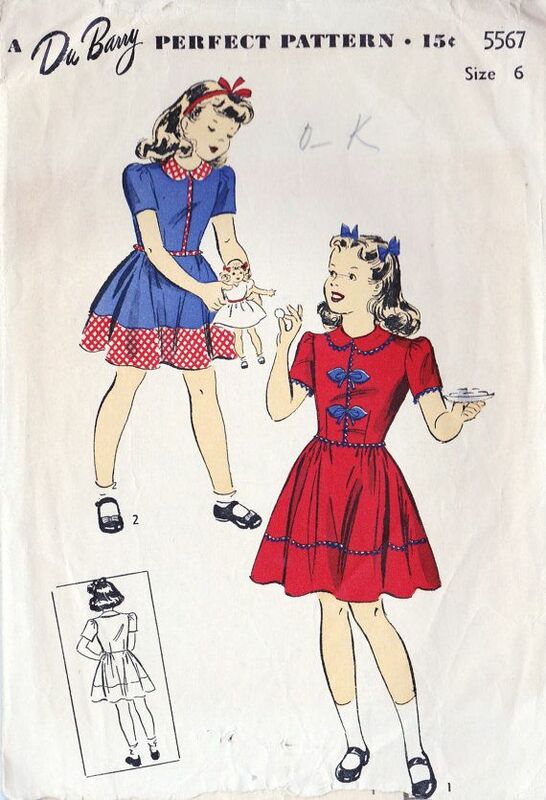 a glorious find: the history seamstress. BLUSH! This is so nice! Thanks again for the view and comments. I have learned a lot form it. I’ll try some of your suggestions.